Episode 60 - Pee Pee In The Potty? I watch entirely too many YouTube daily vlogs and thus got it into my head that I could do a daily podcast about parenting. So, in this episode I pop in every few days to update you on the day to day joys and struggles of respectfully parenting a toddler. We had a HUGE event happen during this week that I had to document. My husband even makes and appearance! As usual, I ask a lot of questions to all the listeners so I don't feel so alone. So, let me know what you think! The proud parents, Sean and Pastaveia. Photo by Tore Kelly. Hair by Camille Jenae. Episode 59 - Can Black Parents Be Minimalists? I sit down and have a loooong chat with my new friends Pastaveia and Sean from EcoConsciousLifestyle! They're expecting their first baby and plan to maintain their minimalist lifestyle. I had questions! They are also interested in respectful parenting. I had answers! We also got in to a much needed discussion about how both of these life choices have a distinct impact on us as black parents. Stay tuned to the end where I regale them with my positive birth story in an effort to take the fear out of the big day. Pastaveia and Sean are part of the Black Minimalist movement. Sean's into this book and Pastaveia is into this book. Throughout her plant-based pregnancy Pastevia relied on books and YouTube channels like Mama Glow: A Hip Guide to Your Fabulous Abundant Pregnancy Book by Latham Thomas and also found recipes from Jenne Clairborne's Sweet Potato Soul. I go on a rant about why it's especially important for parents of black children NOT to use tough love as a way of preparing them for the "real world." This video explains why that tactic is harmful to all kids. Speaking for raising preparing our children for the future. 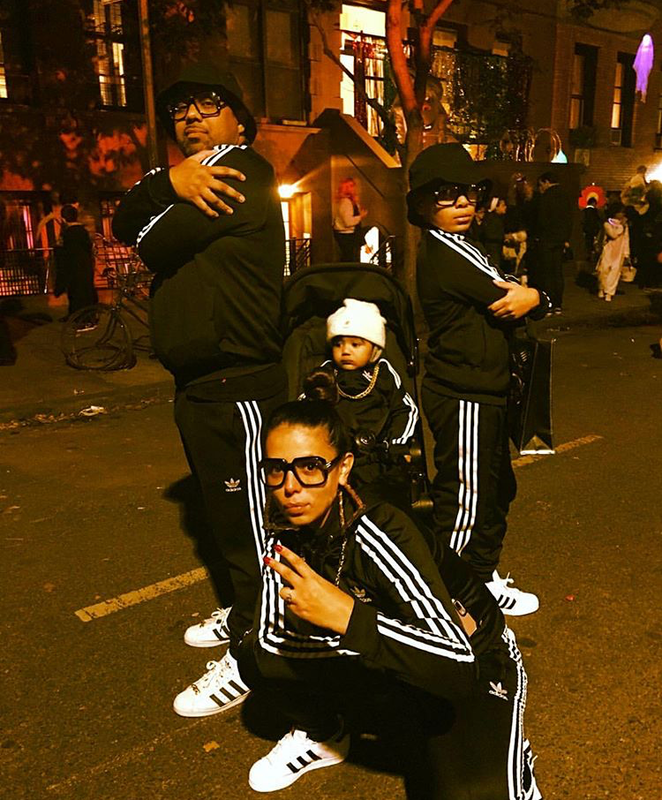 Pastaveia mentioned Brandi Sellerz-Jackson's inspirational blog post about raising carefree black kids. Linda and her daughter, Laura and granddaughter Ellie. Episode 58 - How are we going to pay for college? I don't even know where to begin when it come to saving up for my kid's college education. Should we try to save for all 4 years or just a set amount and supplement the rest with scholarships and grants? Is our kid doomed to a life of debt if she takes out loans? What if she doesn't even want to go to college? I asked Linda Stern, brilliant personal finance journalist, and one of my best friends' mom, all these questions and more. Lots of helpful tips that put mind at ease and even gave me a reason to maybe have a second kid. Episode 57 - Listener Questions! My husband and I answer some questions about trying to teach Lucy Spanish, parenting while tired, and what to do when your kid won't let you read to them. Lucy makes several appearances in this episode which highlights the fact that we're clearly not parenting experts. Lucy and Gabriel taking a break on Auntie JoJo and Uncle Nick's back steps. Episode 56 - Preschool already? I can't believe it's already time for us to start thinking about preschool. My kid only just turned 2! Am I late to the search party?Should toddlers be doing "STEM" work? How many kids should be in the classroom? I sat down with my kid's best friend's mom, and my new pal, Josephine Saunders, to get some tips about the preschool process. Josephine's a school teacher and has put one other kid through preschool. So I wanted to pick her brain. We clean up pretty nice. Wish I could say the same for our living room. It's been so long! My husband and I are just shooting the breeze about life and how hard it is to clean our house. Also, neighbor drama! And more, yes, MORE toddler tantrums. This woman has ALL the answers to my parenting questions! Melitsa Avila, ladies and gentlemen! Episode 54 - How do I teach my kid to be polite? I've been struggling between the trying to instill empathy and kindness in my daughter and not trying impose strict manners and politeness rules on her. I'm walking the line between respectful parenting and respectability politics. But, I know there has got to an appropriate balance. So, I called in my favorite parenting podcaster, Melitsa Avila. She gives me 10 Social Life Skills that can help all of us guide our kids as they navigate social interactions. We talk about everything from helping them cope with being judged by the color of their skin to showing them how to disagree and/or apologize to people in an appropriate way. This episode is long, and it's worth taking notes! She has also created lots of Character Conversation Cards to help families get the hang of discussing tricky topics with each other. Lucy on her second birthday. She's growing up. Who authorized this? Episode 53 - We have a 2 year old! It's official, we have a 2 year old! My husband and I are astounded that we somehow have a kept our daughter alive and happy for 2 years now. We talk about what it's been like so far and what we hope the future will bring with a real deal toddler. We all want our kids to be healthy eaters. But, like most parenting stuff, it's so haaaard! Especially when we're not exactly leaders in the healthy eating realm. But, is it possible to transition your kid from eating only nuggets and fries to gobbling up spinach and quinoa? I asked Malika Pham how she made the switch with her two little ones. We also chat about how her son's autism diagnosis helped her to get more intentional and creative with how she feeds her family. Malika mentions The GAPS Diet and how it helped her navigate her son's gut issues. Esther Boykin, LMFT - psychotherapist, relationship expert, coach, and author. My husband and I talk to a renowned couples therapist about marriage and personal growth while parenting. The wonderful Esther Boykin, LMFT weighs in on how to support connection between partners and within the entire family. We also talk about being naked around our kids and how to handle parenting disagreements without resentment. She also tells us the 2 most important elements that will help us be better partners and better parents. Hint: it's all about working on ourselves first. Esther is the CEO of Group Therapy Associates located in the Washington D.C., Maryland, Virginia region. GTA is a boutique counseling and coaching agency for people who want to live happier and healthier lives. But, more importantly GTA is "a safe place to let out your fears and frustrations and actually start to change your life for the better. My mom doesn't remember my potty training phase. But here's proof! I think I'm about 10 months old here. 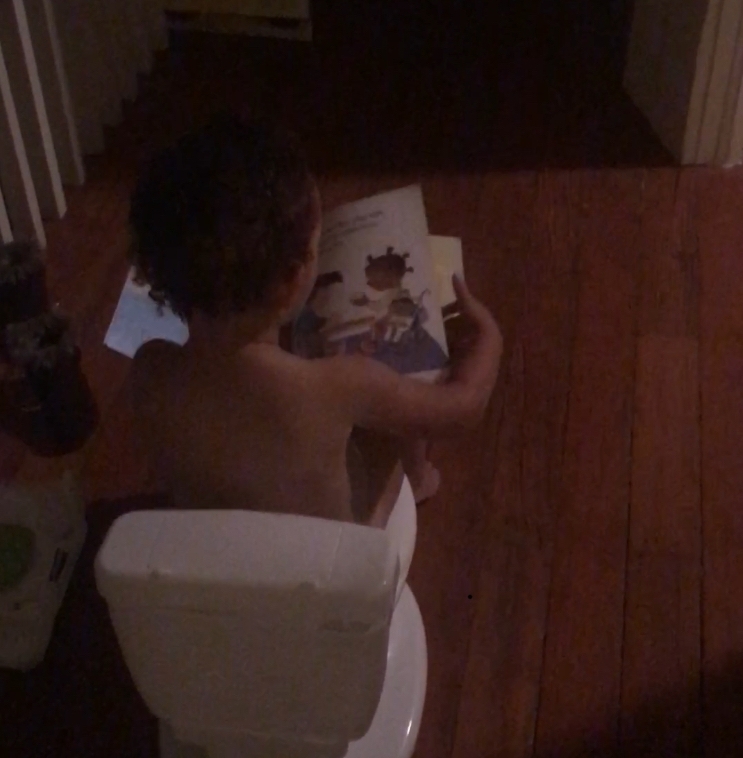 Episode 50 - I figured out potty training! No guest this week so I asked my daughter to be on the podcast with me. But, she only lasted for a couple of minutes. She's got places to be, apparently. So, I give a short recap of our week and some of the stuff I've been thinking about lately when it comes to parenting. Specifically, when and why should a toddler stop using a pacifier. And, more potty training angst. My pal Amanda is back with me for this episode. We have a much needed rant about dealing with toddlers. We also do some pretty deep work about our efforts to parent differently than we were parented. Sometimes that means looking at some of the traumatic experiences we had as children and then undoing that mindset so that we don't impose it on our children. Like it said, it gets deep. Friend in my head (and on Twitter) and fellow black mom podcaster, Akilah Richards is teaching an online workshop about raising liberated children of color called Raising Free People. The Whole-Brain Child by Daniel J. Siegel and Tina Payne Bryson, Ph.D.
Don't forget to binge watch Amanda's Youtube videos! Episode 47 - What do you want from us? Our daughter joins my husband and me on this episode. We talk about some of the topics HTGAWP listeners have said they'd like to hear us talk about. What a blissful bunch! Kelley and her husband Christian with Palmer, the toddler vulcanologist and baby Duke, possible future composer. Episode 46 - Tantrums: How do I help my kid find inner peace? My daughter has been having A LOT of...emotional outbursts, shall we say. I know it's because she's frustrated or overwhelmed or just feeling out of sorts. But, how can I help her? And also, how can I get ok with her feelings? I asked Kelley Carboni-Woods to teach me her wise ways. She's an author, yoga instructor, mother of 2 tots, a Zen Master (my words, not hers) and a self-described recovering yeller. She's got a ton of great advice about everything from cleansing breaths to daily mantras. Also, Kelley mentions Scrap Gardening in this episode. It's amazing! Episode 45 - Why won't my kid go to sleep? Man, we had a sweet window of about 4 weeks when my daughter would go straight to sleep at 7pm and then not make a peep until about 6am. Now bedtime is all over the place and we're in and out of her room doing a dog and pony show just to get her to lay down and chill for a few hours. My friend Vanessa Johnson was also having a crisis trying to teach her baby how to sleep. So she hired an expert to help. In this episode I grill Vanessa for all the secrets that this wise woman taught her. It looks like Lucy isn't really interest in Eben or me at this point. Episode 44 - Does my kid hate my husband? I convinced my husband to come back on the podcast for a special episode about how our daughter keeps rejecting him. I hope she doesn't hate us when she grows up. Please comment on the website if you have any advice or ideas for us. Lucy's crazy sticker zone! We're afraid to throw it away. Mimi on the go with her little ones Adrian (11) and Addison (6). As a somewhat reluctant stay-at-home mom I've been dragging my feet when it comes to meal planning and general household management. So I recruited Mimi from Unlikely Martha to help me get it together. She's got sooo much wisdom to share. But, don't get it twisted! She'll be the first person to tell you that she's not perfect either. I think that's why so many folks love her. We chat about everything from giving our children plenty of affection and tenderness to "time chunking" mundane tasks with a stop watch. She's doing it all. You can keep up with Mimi and all her greatness on her blog Unlikely Martha. Her entire Pinterest page is poppin' but the Recipes section is what I'm loving the most. Mimi lives in Georgia and sometimes uses Southern Savers to look for grocery deals. It all comes down to planning! Mimi uses The Happy Planner.